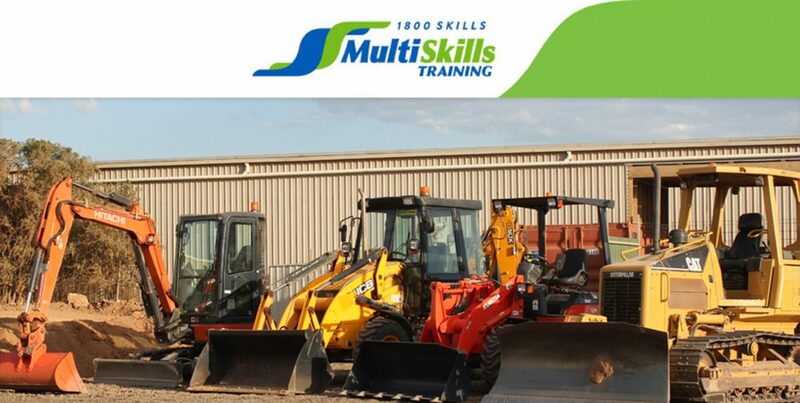 MultiSkills Training are industry leaders in providing quality and accredited training programs in Victoria. MultiSkills Training is a nationally recognised Registered Training Organisation (RTO) which offers WorkSafe Accredited Courses, licences, and full qualification certificates. MultiSkills Training provides a huge range of quality training programs to aspiring students, industry professionals and corporate clients. MultiSkills Training, with training locations in Werribee and Dingley Village, Victoria, provide leading practices in vocational education and training. The RTO stands out from other institutions with their exceptional customer focus and strong industry partnerships. They take great pride in their quality of training and helping students reach their full potential. This means that you can be confident that MultiSkills will provide you with the training you need. Cabel talks about his experience training. After-hours training at no extra charge. Flexibility in delivery – MultiSkills can also come to you! MultiSkills keeps up-to-date with current legislation and industry practices. All trainers and assessors are industry experts. MultiSkills listen, and use client feedback to provide the best services they can. Recognition of prior and current learning. At MultiSkills Training, they ensure their students get a first class learning experience. Their skilled trainers use accurate, current, and relevant information which incorporates quality learning and teaching practices. The training team partakes in regular consultations with business and industry leaders to maintain the relevancy of their training. Their training is always in line with industry practices and standards. The MultiSkills team even provides information to graduating students about employment opportunities. It’s safe to say – you’re in good hands. MultiSkills Training understands that it’s not always practical for you to come to them, which is why they offer onsite services. In most cases, a trainer can come to you, at a time and place that suits your needs. MultiSkills Training also offers forklift refresher courses onsite. CPC30911 - CERTIFICATE III IN SCAFFOLDING. RII30815 - CERTIFICATE III IN CIVIL CONSTRUCTION (PLANT OPERATIONS). BSB41415 – CERTIFICATE IV WORK, HEALTH, AND SAFETY. Health & Safety (OHS) Training Course. The Confined Spaces Certificate is just one of many industry related courses offered. MultiSkills Training offers full fee or Government assisted construction courses under the Victorian Training Guarantee (VTG) for eligible students*. The VTG is a Government initiative providing subsidised training for eligible individuals who wish to obtain a VET qualification. MultiSkills will assist you and make the process simple. *This training is delivered with Victorian and Commonwealth Government funding & conditions apply. MultiSkills Training encourages people with disabilities to access Government subsidised training. Over the years, countless companies have discovered the advantages of upskilling their employees through industry related certificates and courses. Businesses are increasingly urging their workforce to enhance their skill sets, which eliminates the need for a business to hire outside contractors. Assistance available for both employees and employers. Industry demand for more qualified workers. For more information on getting qualified to enter the industry, upskilling yourself or your workforce, get in touch with MultiSkills Training – they can help! Call today on 1800 754 557. For more information, click here.